However, if Gerry hadn't been allergic to the lime in plaster, how different it would have been! He began his career studying fibrous plastering, but had to give it up when it gave him dermatitis. 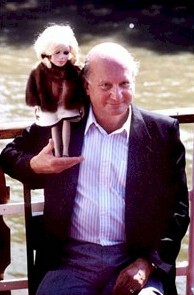 After a spell with photographic portrait work, a job in Gainsborough films and time spent in air traffic control, he set up AP Films (Associated Puppet Films) with some friends. 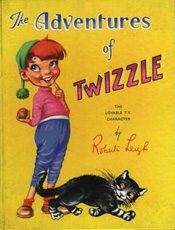 Commissions were few however, so he responded eagerly to the opportunity to make a puppet series called ‘The Adventures of Twizzle’. It was however not until 8 years later that this puppeteering endeavour would result into creating the classic ‘Thunderbirds’. Terrahawks 1983/84 1-26 & 1-13 25 m #1-18? remainder pirated only? 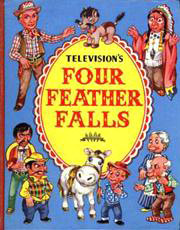 * note that this concerns a compilation of different existing old episodes! The adventures of a boy doll who runs away from a toyshop and together with his feline friend Footso, builds Stray Town, a heaven for toys. Note: There was a second series comprising a further 26 episodes produced by Associated British Pathe for Roberta Leigh. 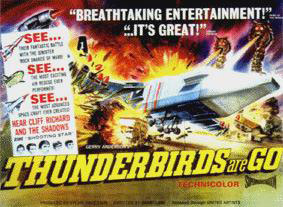 Gerry Anderson and AP Films were not involved in this latter production. However the same puppets and music and so on were used. The adventures of the crew of an amazing land, sea and air vehicle based at a secret Black Rock laboratory in the Nevada Desert in 1960-62. Gerry Anderson's first science fiction Supermarionation series. 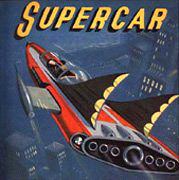 Super Car was a prototype vehicle that could travel in the air, on land or beneath the sea. Its test pilot was Mike Mercury, who traveled the world in search of adventure. Super Car was designed by Professor Popkiss and Dr. Beaker, who continued to modify it for specific missions. Often traveling with Mike was 10-year-old orphan Jimmy Gibson. The interplanetary adventures of the crew of the W.S.P. spacecraft Fireball XL5. This vehicle was part of the fleet of interplanetary rockets protecting Sector 25 of the Solar System from alien invasion under the supervision of the World Space Patrol in the year 2062. 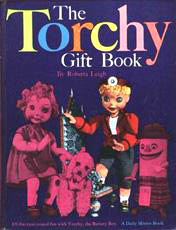 In command of XL5 was Steve Zodiac, and his crew consisted of Venus, a doctor, Professor Matic, the science officer, and Robert the Robot, the rocket's mechanical co-pilot. Situated in the year 2064, Gerry Anderson's third SF supermarionation saga tells the adventures of the WASPs (the World Aquanaut Security Patrol) as they explored the oceans and kept the world safe from a variety of perils. The WASP's main weapon was Stingray, a super-sub under the command of Troy Tempest. Troy's copilot was Phones, and they were often joined on missions by Marina, a princess of the undersea kingdom of Pacifica. Marina could breathe under water, but was unable to speak. In charge of the WASPs was gruff Commander Shore, whose daughter Atlanta was both a member of his staff and Marina's rival for Troy's affection. Note: this is a compilation of episode #4, 6, 11 & 27! When aquatic aliens plot to take over the planet, the world aquanaut security patrol are called in to battle the aliens. 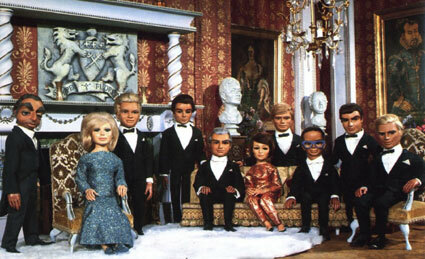 Operating from a secret island base, the Tracy family run a global rescue service in the years 2065-2067 using five amazing Thunderbirds vehicles. In 2068, the indestructible Captain Scarlet leads the agents of Spectrum in a war of nerves against the Mysterons from Mars. A misunderstanding provokes an alien race called the Mysterons to declare war of nerves on Earth. Through the series, they continually make threats of terrorist acts and attempt to follow through with their ability to create duplicates of anyone they kill. Their key opponent is the international intelligence organization, Spectrum, whose agents are code-named according to various colours. Their top agent in this war is Captain Scarlet, an agent who was subjected to the duplication process, but was still alive at the time. As a result he was able to shake off the Mysterons control, but leaving being him indestructible, that is he can regenerate from and survive even fatal wounds. Joe is a 9-year-old boy whose father has developed a method of transferring specialist "brain patterns", and hence skills, into his son's mind. As a result, Joe is able to become a test pilot, brain surgeon, etc, as needed. Combined with his innocent appearance this enables him to become the most specal agent of the W.I.N. (World Intelligence Network). The Investigator, a being from another galaxy, chooses a boy and a girl, John and Julie, to help him right wrongs on Earth, miniaturising them to help them in their missions. In the year 2020 Earth is under threat from Martian androids who want revenge on the human race. They consist of Zelda, her son Youngstar and her sister called Sister. An organisation is set up on Earth called Terrahawks, which is top secret to the rest of the world. This is led by Dr Tiger Ninestein with other characters such as Sergeant Major Zero. After 15 years as a New York street cop, Lt. Brogan is appointed commanding officer of Space Police Precinct 44, an intergalactic police corps fighting organised crime on alien worlds. G-Force Intergalactic, a rapid response task force for the United Planets, combats major crime and large scale disasters from a hidden base, Star City, beneath the surface of an asteroid orbiting the Myson system. The adventures of Captain Thrice and the crew of the starship Paradox on their quest to find the legendary Lavender Castle - a floating city deep in space and the greatest source of power in the universe - before the evil Dr. Agon who intends to destroy it. Copyright © 2000 Michel Snoeck. All rights reserved.